Dominoes...Don't Just Watch Them Fall! It’s been over 10 years since Brad Gardner lost his right arm in a workplace accident—an accident that didn’t have to happen. Brad and his wife, Dolores, are world-renowned safety motivational speakers who share their story in order to prevent tragedies like their own from happening to others. Their delivery is versatile enough to move audiences from laugher, to tears, and finally to solemn reflection. This talented team has inspired hundreds of thousands of industrial workers from all levels of management to look at the importance of safety in a new light and energy—and they can help your team too. 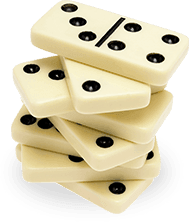 Call Brad and Dolores today to prevent the “Domino Effect” from happening in your company. 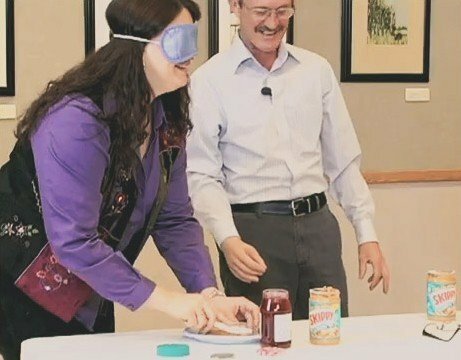 Are Brad and Dolores the right team to come speak to my group? When audiences hear Brad’s story in the same place where they themselves should be following safety protocols, the message really hits home. Brad and his wife, Dolores, want to spread the word of safety as far and wide as possible. That’s why they speak anytime and anywhere – day or night, in auditoriums, in break rooms, in tents – whatever it takes to prevent accidents like Brad’s from happening in your company. Brad walks listeners through the moments leading up to his accident. Audiences feel his pain as he retells his story as if it is happening again, only to feel his anguish as Brad describes how easily it all could have been prevented. Brad and Dolores also share how this accident has had an overwhelming “domino effect” in their lives and those around them.